I have pinned a lot of great stuff on Pinterest this season. If you want to be on trend with the fall 2018 Pantone colors, check these out when you are shopping! 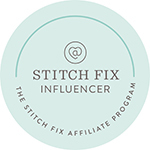 If you haven’t tried Stitch Fix see how it work here. Stitch FIx is the best Shop At Home service I have tried! Select what styles and fit you like, have it delivered, try on…keep or send back! The shipping back is free too !! https://www.stitchfix.com/referral/10223903?sod=w&som=c My Referral for trying! I have received lots of credit just by telling people about this service. You can too! I can’t wait to get my #freeclothes $25.00 for every person who signs up and gets their StitchFix Shipped!!! Stitch Fix…your personal fashion Stylist!!! Posted in #TRENDS, New Items, Outfits, Stitch Fix and tagged fall 2018, FALL FASHION, Personal Stylist, Stitch Fix, style, stylists, WHAT'S NEW. Bookmark the permalink. Posted in Avon, Best Deals, MAKEUP, Uncategorized and tagged black friday, Christmas Gifts, CHRISTMAS IDEAS, christmas shopping, deals, FREE, GIFTS, GIFTS FOR HER, GIFTS FOR HIM, HOLIDAYS, make up, Shopping, style, WHAT'S NEW. Bookmark the permalink. Posted in Avon, New Items, Uncategorized and tagged #TRENDS, Avon coupon code, Avon Products, Avon skin care, FALL FASHION MARK GIRL AVON CATALOG, Fashion, free shipping, home, style, WHAT'S NEW. Bookmark the permalink. Posted in Avon, AVON BROCHURE CAMPAIGN 10, Best Deals, MAKEUP, New Items and tagged Avon beauty products, Avon brochure, buy avon online, Christmas, Christmas Gifts, how to buy avon online, WHAT'S NEW. Bookmark the permalink.